I love water, really! I try to drink 2 / 3 liter a day, and don’t drink any soda. Also I like to drink tea, and sometimes a small espresso. I found this lovely picture of water on facebook (a post from a friend), and now I really know why I love water. And of coarse it is good for your skin. 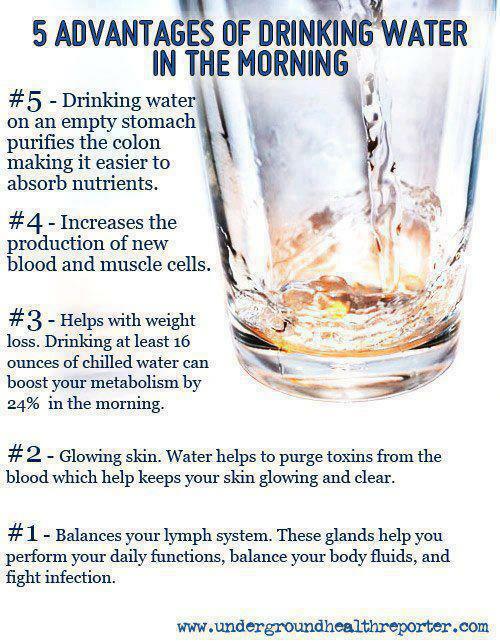 What is your favorite drink, water too? I read a lot of stuff about beauty and about skin issues. I have a lot of problems with my skin myself (tired skin, chronical eczema, dry skin, sensitive skin etc. ), so I am always looking for sollutions. I tried a lot and these are my 5 tips what worked the best for me!